Pistonsoft MP3 Audio Recorder records audio and saves it directly into any format without additional compression or conversion. All bitrates of MP3, WMA, WAV and OGG formats are natively supported. 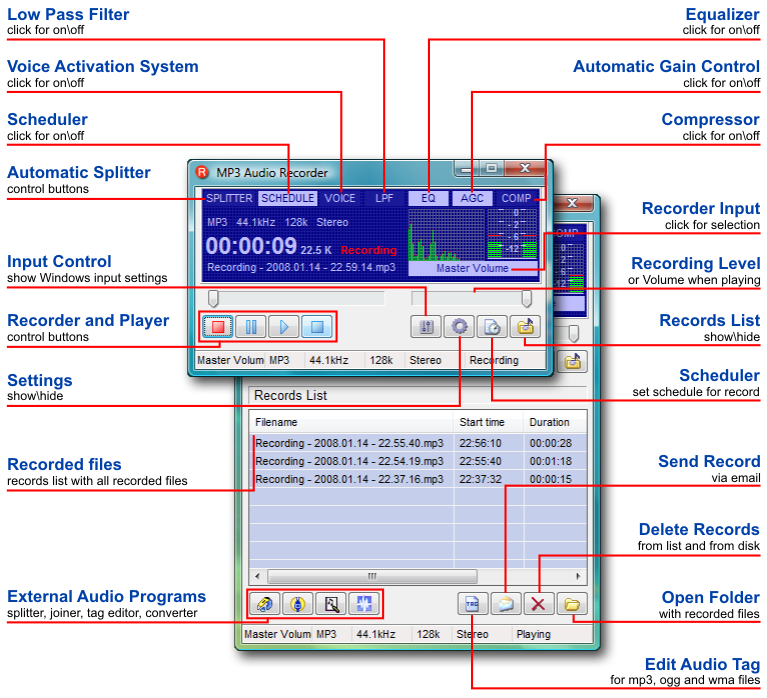 See all MP3 Recorder features.